Ellsworth recognizes the importance of having product arrive to our customers undamaged.While many parcel and LTL carriers are working to improve their networks, we know that the path through a carrier’s network can be rough and it can expose your shipments to potential damage. 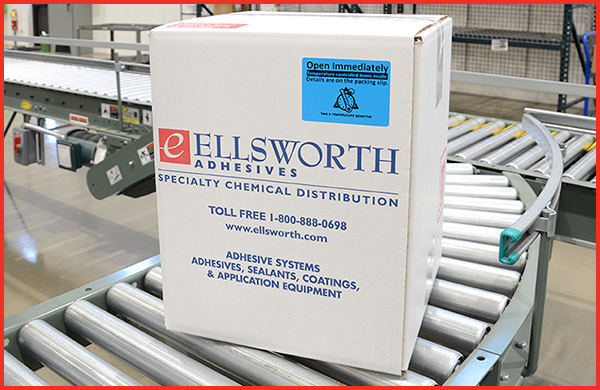 To help mitigate that risk, Ellsworth has developed several custom packaging solutions and established documented packaging standards that all shippers use as a guide to pack shipments. 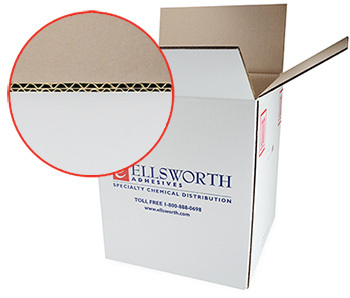 Unless we’ve determined that a vendor’s cartons and packaging are durable enough to protect the product, most parcel shipments will be repackaged in an Ellsworth double walled carton that will protect against most impacts and crushing that can occur in a carrier’s network. 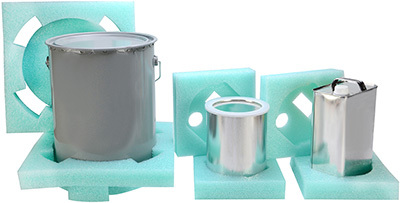 Most products that are damaged in transit is the result of products within the carton impacting other products in the carton or fragile product being positioned too close to the carton walls.To help protect your shipment, Ellsworth shippers have been provided with several custom designed packing supplies.This includes foam inserts to protect F-style cans, 5 liter cans, thin walled round gallons cans, and metal 5 gallon pails. 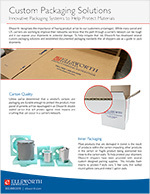 While most products can withstand short term exposure to the common temperature swings that occur in a transportation network, some cannot.Ellsworth maintains shipping profiles on our items that are sensitive to temperatures in transit.Temperature sensitive items will be flagged on the outside of the shipping cartons and on pack slips to alert your teams that the product should be processed promptly upon receipt.In addition, Ellsworth has systemic controls in place that will prevent extremely temperature sensitive items from shipping over weekends and holidays. 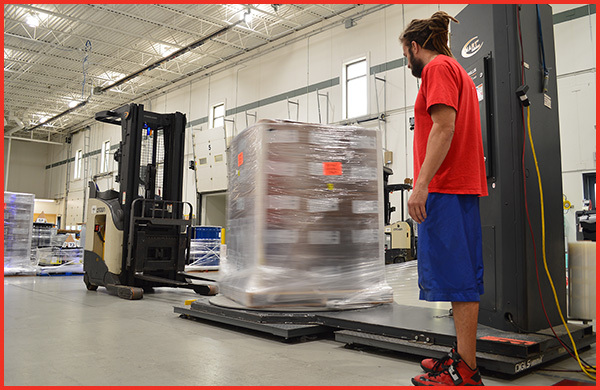 Building a sturdy, well wrapped pallet can be the difference between a successful shipment and one that gets damaged.Ellsworth utilizes automated pallet wrappers to ensure the wrap is properly pre-stretched as it’s applied and that plastic roping is imbedded to keep the product secure to the pallet in transit.